Support AVA DANCE COMPANY by shopping online. 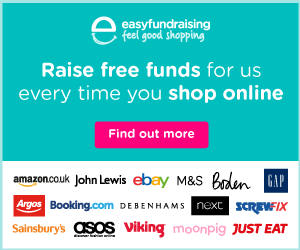 Use Easyfundraising to shop with over 3,300 retailers including Amazon, Argos, John Lewis, ASOS, Booking.com, eBay, Boden, and M&S Every time you shop any time of the year, you’ll raise a free donation for AVA DANCE COMPANY every time, it’s that easy! Go to this link below --> select: "support this cause" --> register in Easyfundraising --> select the retailer you want to buy from --> they will redirect you to the main web of the retailer --> make your normal shopping ! Eery time you want to make a donation to us, go back to Easyfunraising to select the retailer directly from there. AVA DANCE COMPANY creates high-quality contemporary dance works, with a cast of female dancers and collaborators from a range of cultures and artistic disciplines. Our priority is to create the context for a culturally diverse team of artists and organisations to interact in any given project. We illustrate the power of women and provide a platform for any and all cultures; celebrating, educating and revaluing under-represented backgrounds of women of the world.